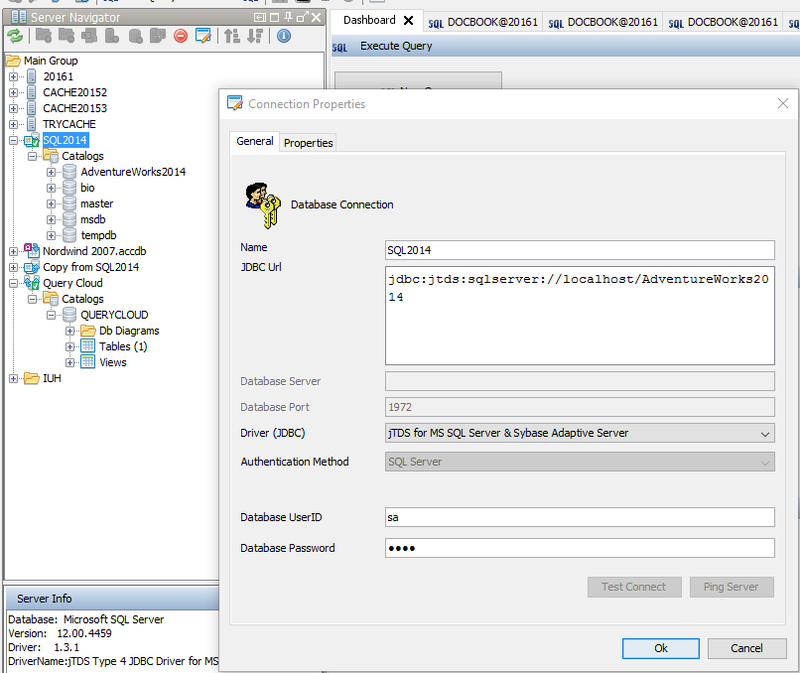 Here you find instructions to use the jTDS database driver with Caché Monitor. 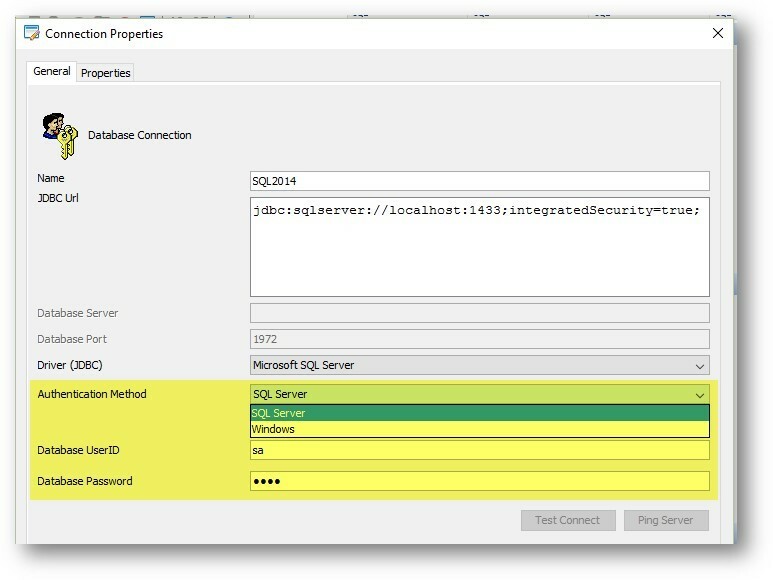 This database driver is an open source driver for MS SQL Server & Sybase Adaptive Server. jTDS is 100% pure Java (type 4) JDBC 3.0 driver for Microsoft SQL Server (6.5, 7, 2000, 2005, 2008 and 2012) and Sybase Adaptive Server Enterprise (10, 11, 12 and 15). jTDS is free software and released under the terms of the GNU LGPL. The next steps are not required if you use Cache Monitor 2.81 or later because the driver and the configuration are already included! Navigate to the Caché Monitor installation folder, e.g. C:\Program Files (x86)\CacheMonitor and open the folder called “libs”. 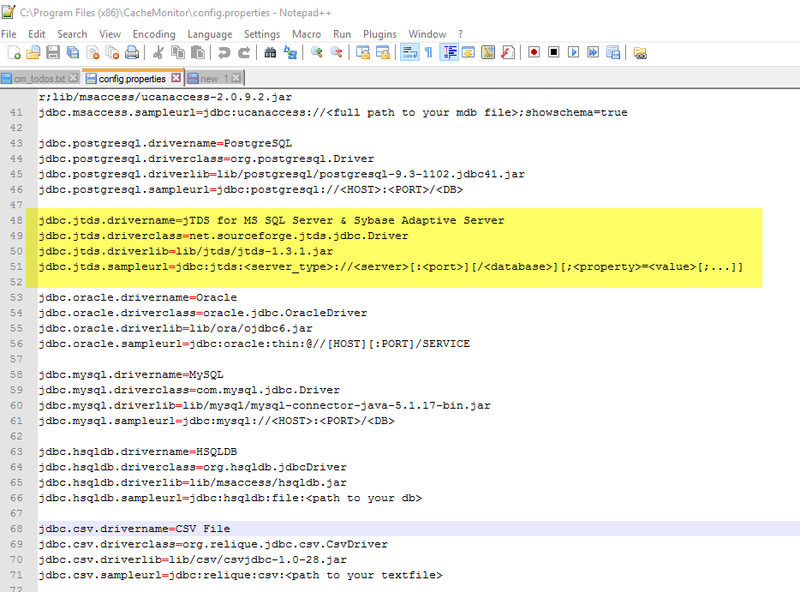 Create a new folder called “jtds” and copy the database driver into that folder. You find the driver file in the zip file you’ve downloaded before. The Driver file called like “jtds-1.3.1.jar”. Use the driver’s integrated security, which automatically absorbs the *current OS user’s* identity to verify with the DBMS at runtime.